With many years of experience in all fields of the metal/music business, the RAM IT DOWN staff is a small, devoted group of music enthusiasts who use their combined talents now to release music together. It's a group of people with extensive experience as A&R executives, product managers, publicists, graphic- and web designers as well as journalists for printed music mags, webzines and radio stations. Due to the fact that we are still working in those positions for leading metal record labels to this day (and the expenditure of time that comes along with those responsibilities), we are aware of our limitations as well. Which means: We can't put out 40 or 50 albums a year like other labels are able to do. On the other hand this means that we have (and WANT) to be especially selective when it comes to band signings. Once you're signed with us though, you can be sure not to be just one out of a hundred bands. You are a priority for us then. 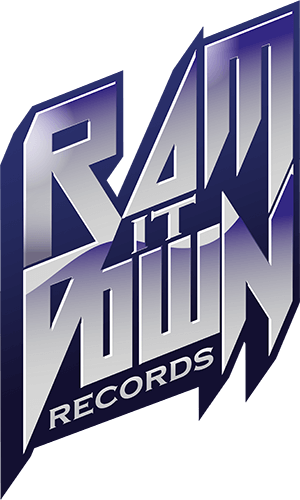 We appreciate stylistic and artistic variety, but right away it was very clear for us that RAM IT DOWN Records would focus solely on the genres HARD ROCK, HEAVY METAL, POWER METAL and PROGRESSIVE. That’s the kind of music we personally like and understand the most. We are metal fans since decades and grew up spending all our money for vinyls, tapes and later CDs. So of course the physical product still has a special place in our hearts and we believe that there are still enough of you out there who feel the way we do. As long as there's demand, we will bring you physical products of our releases. At the same time, we also realize the opportunities of today's digital business. Our eyes and ears close to market developments, which makes us able to adjust . Our goal is to be a competent partner for the bands signed to RAM IT DOWN Records. We offer worldwide physical and digital distribution of our releases through Germany’s Soulfood Music Distribution (one of the biggest independent distributors in Europe) & its partners in the respective countries. All our physical products (CDs, vinyls) come as high quality pressings – made in Germany.